This woman in her 30s with known Charcot-Marie-Tooth disease presented with progressive deformity of her right ankle. 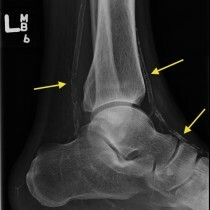 These radiographs show the typical appearances of a neuropathic joint, with destruction of the ankle joint, fragmentation of the talus, deformity of the ankle and hind foot, increased sclerosis of the affected bones, and some periarticular debris. 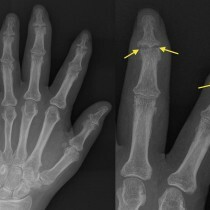 Despite the grossly abnormal appearance, these joints are often relatively painless as the underlying problem is loss of sensation. 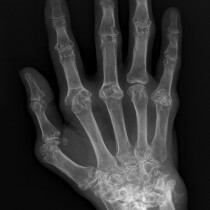 There is a long list of potential causes when we see a neuropathic joint, however in the ankles and feet the vast majority are due to diabetes – a big clue to this diagnosis is that there will usually be prominent calcification of the arteries around the ankle. 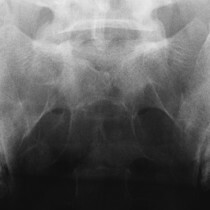 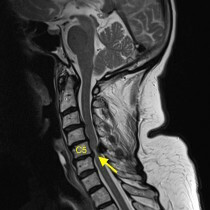 Other potential causes include syringomyelia (the most common cause of neuropathic joints in the upper limbs), brain and spinal cord injury, syphylis (tabes dorsalis), spinal cord tumours, scleroderma and congenital causes such as spina bifida and, as in this case, Charcot-Marie-Tooth disease. 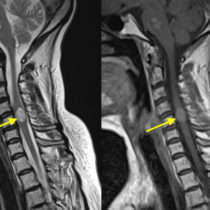 Charcot-Marie-Tooth disease is also known as hereditary sensory and motor neuropathy and is an inherited form of polyneuropathy. 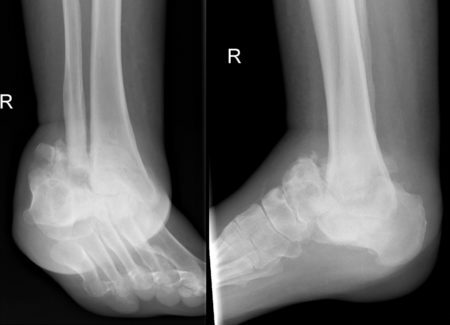 It is one of the more common causes of pes cavus (a high-arched foot), which may have been present in this patient prior to the ankle developing the current neuropathic appearance.